You may think you have what it takes to be the perfect sorority sister or fraternity brother, but can you craft like Martha Stewart? Can you champion a worthy cause like Oprah? Can you remember your P’s and Q’s and PNMs and IFCs? 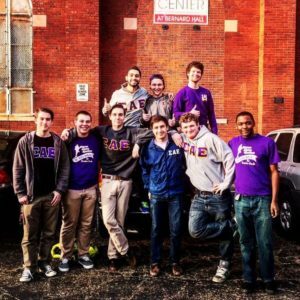 If you really have what it takes to join Greek life, you’ll possess these 10 lesser-known attributes of the perfect member. You prefer the word “ladies” over any other word to describe a group of women. 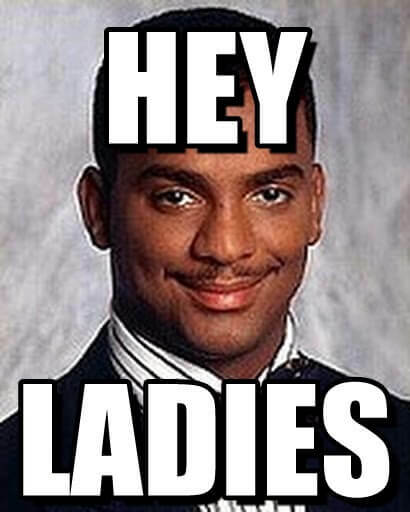 Whether the word comes from the mouth of your recruitment advisor as she lovingly barks orders at your fellow Greek newbies during recruitment, or if it’s purred by a frat boy at your first frat party, “ladies” is the Greek go-to for addressing a group of women. Recently, Panhellenic advised all sorority women to stay away from branding themselves as “sorority girls,” so you won’t hear that G word. Plus, “woman” sounds too old and formal, so ladies is the word of choice. The sorority squat is not a myth. Same goes for the frat star point. You will pose for photos in both of these fashions regardless of your gender. “The power point and sorority squat are key to a good picture for those of us in Greek life because it’s universal for us. Everyone knows it. Don’t fix it if it ain’t broke. 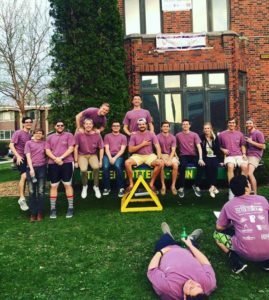 As every father says, ‘It’s all about bending the knees,’” Lambda Chi Alpha member brother Jack Brindley said. If you can’t bend down at the knees daintily to show off your taller sisters or squat as low as the blows on your mixtape (for which this frat star pic will be the cover), then you may not be able to service your chapter to the fullest. The Greeks love a good acronym. 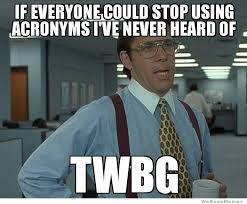 Acronyms make up all sorority and frat names to start, but recruitment will show you the vocabulary of Greeks is basically alphabet soup. You may start as a PNM, become an AM in IFC, meet the ladies of PHC, go through I-week and then become TFTC in a matter of weeks, knowing you’ll never want to be a GDI ever again. TSM and TFM will be your Bible, your what-not-to-do manual and a lot of your Instagram captions, so at least know those two. Better catch up with the letters so you can make the grade. If you belted out the the alphabet with an inviting wink at the line “Next time won’t you sing with me” and the passion of Whitney Houston, you’re ready to level up. There isn’t a widely accepted song to memorize the Greek alphabet, but you’ll need to have a handle on our 26 before you learn their 24. 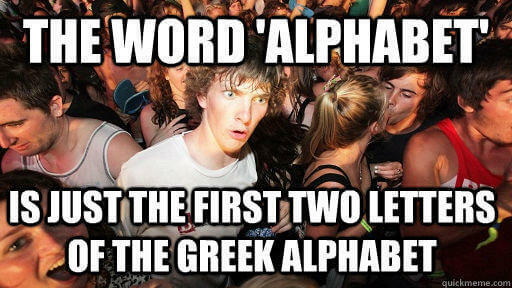 Greek letters are the basis of everything Greek life. Not only are sororities and fraternities given letters, but sometimes even Greek council and exec board positions are named after Greek letters. And once you think you’ve got it, the Greeks will change it up on you. One frat can be written as Phi Gamma Delta, Fiji or ΦΓΔ. One sorority can be referred to as Gamma Phi Beta, GPhi or ΓΦΒ. If you’re struggling, maybe hit the books. “For me it is pretty easy to keep track of the letters. Thanks to Percy Jackson, I feel I can practically write in Greek,” Sigma Alpha Epsilon Diamonte Brown said. Girl Scout cookies? You had the whole block, the next block and your grandma’s block on your order form. Boy Scout popcorn? You knew how to work the entrance of the grocery store so well no one could get in or out without buying a tin. Those overpriced chocolate bars your middle school made you sell? You were top in your class every year. Going Greek means working your puppy-dog eyes like a con artist. Little kids have fundraisers. Greek organizations have philanthropies, and this time the stakes are higher. Greeks raise money for cancer research, heart disease treatment, domestic violence shelters and more. Source of funds? Poor college kids. So you’ll need to be creative in advertising and event-planning to launch a philanthropy that will rake in the big bucks from college kids who hesitate to buy another 75 cent Ramen. Wood glue, stencils, acrylic paint and wooden letters–go! You should be able to go find these items at a craft store, get to work and come out the rink with a paddle in no time. Just like being creative in your marketing and fundraising techniques, get creative to make the best gifts your little could ever ask for. You don’t have to be Picasso, but you’ll be making paddles, posters for philanthropy and maybe even T-shirts fairly often. 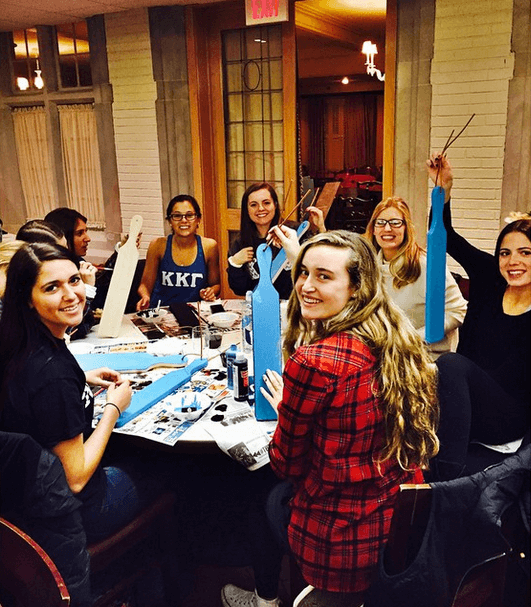 If you can work some magic with a glue gun and a paint brush like Martha Stewart, you definitely have a place in a Greek organization. Some members even break out the home EC skills. “I love crafting, but sewing projects have to be my favorite. 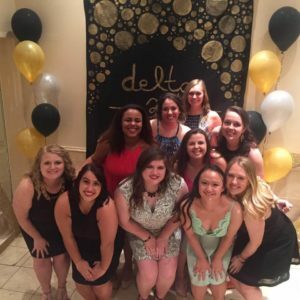 The second you turn the project right side out and see all the pieces finally coming together is so satisfying,” Delta Zeta member Sarah Johnson said. 7. Is it even a party without a theme? Do you have an oversized white dress shirt, a lei and something red, white and blue? 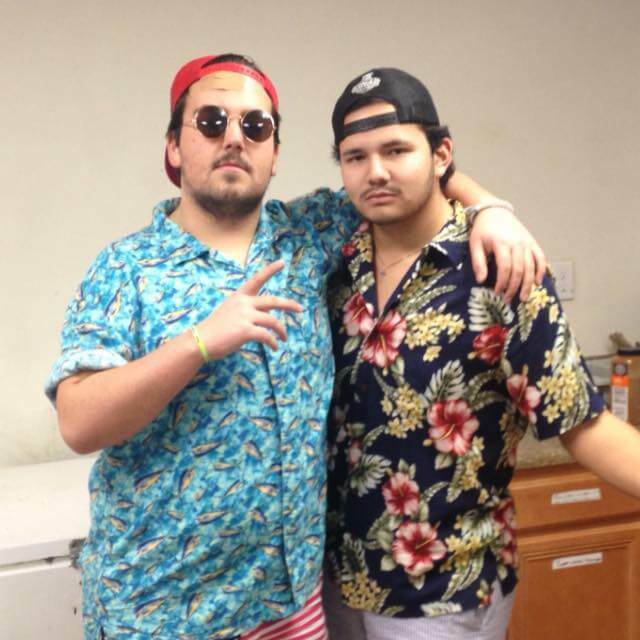 Then you have Risky Business, Hawaiian and American covered. “My favorite party theme is pajamas because they’re so comfortable and I never have another excuse to wear them in public,” Delta Zeta member Gaby Fernandez said. Greek parties frequently have themes, and an extensive wardrobe, or a little wardrobe creativity, and very little shame make for a great theme-party attendee. It’s always fun when someone goes all out for a theme. If that’s always you, then you may earn yourself some Greek letters. Remember, creativity is key. Think outside the box so you don’t show up in the same outfit as another sister or brother. Logo tees, oversized tees, pocket tees–oh my! If you’re wearing your letters, there’s a 90% chance it’s on a T-shirt. 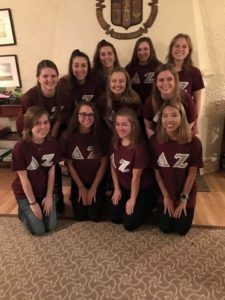 “Its super easy to keep track of the letters, especially when you have 100 different t-shirts with other sororities/frats on it,” Delta Zeta sister Jessica Westendorf said. Recruitment, Greek Week, Homecoming Week and philanthropies all require outfit coordination, and what better way to achieve that than matching T-shirts? Greeks are connoisseurs of finding the best places to order from for the softest material and most flattering designs. When you’re Greek, your closet will overflow with T-shirts. If you’re too good for a good old-fashioned tee, then you won’t earn any other letters either. 9. Spammer or Social Media Master? If you want to join a social Greek organization, social media has to be your bread and butter. It’s how you conduct official chapter business, unofficial chapter business (refer to number seven), promote events and market yourself as a member. Just as we stalk PNMs before recruitment on social media, we know you’ll be stalking us. It’s our job to show you that we have a good time, but also that we represent the cause of our philanthropy and are an organization founded on noble beliefs. Basically, you need to show that we, like Oprah, let people dance on tables and couches, but, also like Oprah, open schools for underprivileged youth in Africa. Greek life repeatedly comes under fire for practices that do not match most Greek life experiences. Unfortunately, most media prefer the bad examples over the good. If you want to be a part of Greek life, be ready for all that it comes with, including negative stereotyping. You must have a thick skin to deal with the haters who think we pay for our friends, haze our new members and major in alcoholism and daddy’s money. While the GDIs are hating, you’ll be living it up in the perfect chapter for you. Darling, it’s better wearing these letters–take it from me. Marin is a pizza snob from Chicago (deep dish only) who loves writing, baking, and wasting the day away watching videos of baby animals. She is a Journalism major at the University of Iowa and she hopes to be the editor of a magazine one day.